I had some ingredients: brownie mix, cream cheese, and rasberry jam. There just had to be a way to combine all three and make something amazing. Lacking a recipe, I threw a couple eggs, some sugar and flour in with the cream cheese and then swirled that mixture with the brownie mix – plus a little rasberry jam. It didn’t turn out half bad. 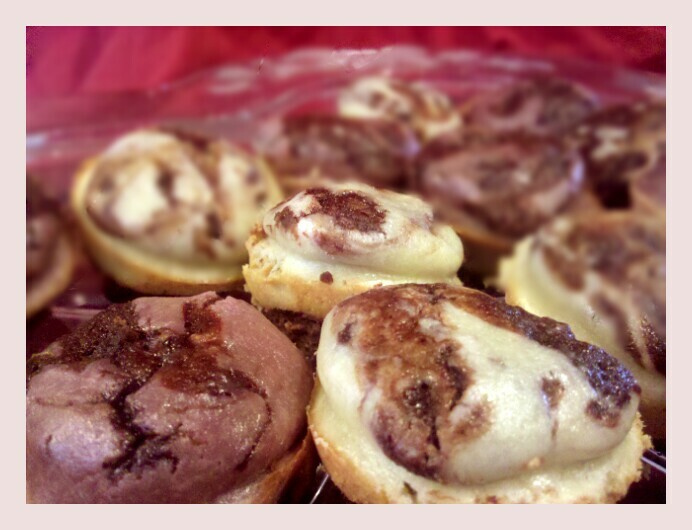 I found out that I could bake the mini-cupcakes at 325 for 15 minutes to get this result.